You'll love the park-like setting of this turn-key one-story home in Sammamish! Spacious, flat backyard with large deck perfect for entertaining. Enjoy easy access to several nearby parks, including Beaver Lake, Pine Lake, and Klahanie. Yard: plenty of space in backyard for enjoying family/neighborhood get togethers, athletic activities, and pets; great view of the neighborhood from front yard, allowing for easy monitoring of children and engagement with community. Cul-de-sac: incredibly safe for young kids; no traffic aside from neighbors and utility vehicles. Neighbors: lots of families with young children; other neighbors are friendly, helpful—the community is to be desired. 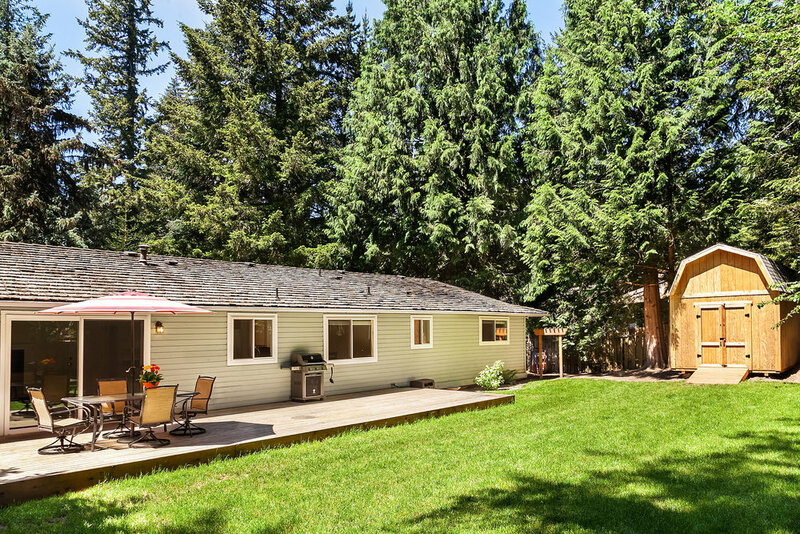 Proximity: walking distance to multiple parks (including Beaver Lake and Beaver Lake baseball fields), walking distance to Beaver Lake Middle School; close to Klahanie and Pine Lake shopping centers; easy commute routes via I-90 and Redmond/Fall City Hwy.